Catch children in the act of behaving well, reward them and watch those appropriate behaviours multiply! 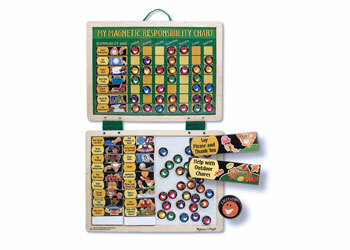 Open the fabric hinged boards to reveal a behaviour chart on one board, while the other board keeps all the magnets close at hand. A sturdy cord is attached for hanging. 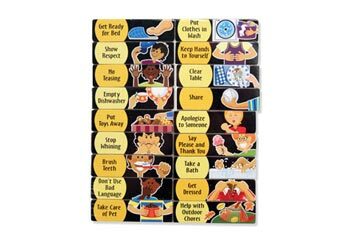 Dry-erase board and 90 magnets including responsibilities, positive behaviours and rewards.